A warm, cozy, and comfortable sleeping bag is necessary if you are going to be out in the cold. There’s no point in wearing all the right gear and starting a fire, and setting up your tent just to slip into a sleeping bag that does everything but keep you warm. In this case, not all sleeping bags are the made the same. A winter, cold weather or below zero degrees sleeping bag is designed for the harshest weather and is made to protect you against the biting cold. Below, we have a list of our favorite sleeping bags for winter. 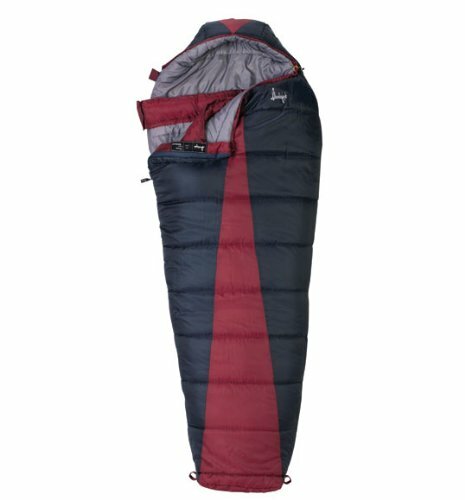 Our absolute favourite 0-Degree sleeping bag is the TETON Sports Celsius XXL. Extremely well made, large size, and even though it’s large, it still keeps you incredibly warm. 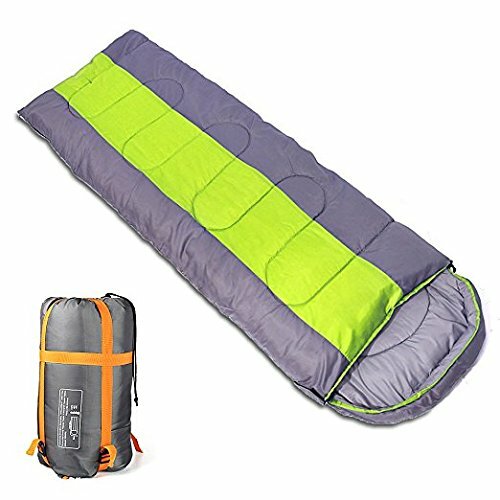 The best sleeping bag for backpacking is the Abco Tech Sleeping Bag, lightweight, durable, and well made, it is an easy fit for your pack and your trip. The bag will suit most conditions, keep you warm, yet is still very easy to travel with and won’t weigh you down. 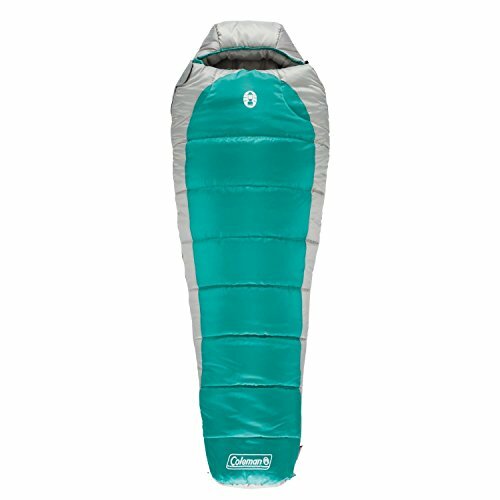 The Coleman Silverton 0 Degree Sleeping Bag is our choice for the best bag for hiking. Very high-quality materials that are durable and strong ensure this bag will last many seasons to come. Stay warm and dry, no matter the weather with this brilliant bag. 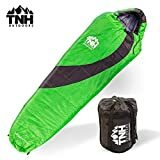 TNH Outdoors 0 Degree Sleeping Bag is most definitely our favorite budget bag. Quality isn’t lost and you definitely get bang for your back. Warm, cozy, and comfortable, this budget bag is suitable for everyone. The TNH Outdoors 0 Degree Sleeping Bag is also our favorite compact bag. Easy to store and to travel with, it won’t weigh you down on tough hikes. Super compact and very easy to store in your pack. 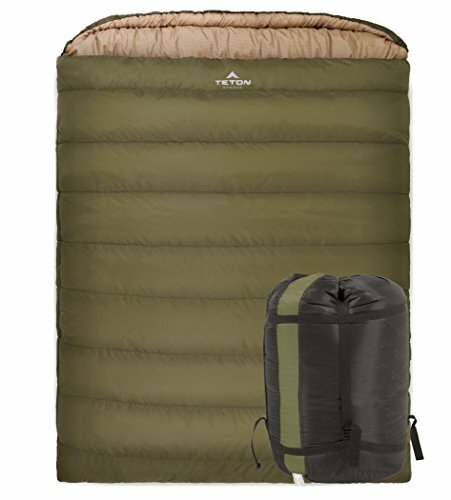 The Coleman North Rim Mummy Sleeping Bag is our favorite lightweight bag. Lightweight definitely does not mean it won’t keep you warm when it comes to this bag. Super lightweight, yet very effective in cold conditions. The TETON Sports Celsius XXL is our favorite all round bag. Well made, high quality, and will keep you warm and dry all through the night. Teton definitely does not disappoint with this bag and we encourage you to put it at the top of your wish list, you won’t regret it. 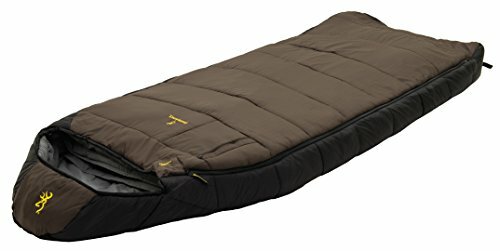 The best -20 degree sleeping bag is the Browning Camping McKinley. Not only can this bag handle -20 degree weather, it can handle temperatures as low as -30, making it the perfect extreme cold sleeping bag, no matter when or where you need it. The bag is fitted with some of the best insulation on the market, and a zipper system with two-layer technology that works together to keep you warm all through the night. 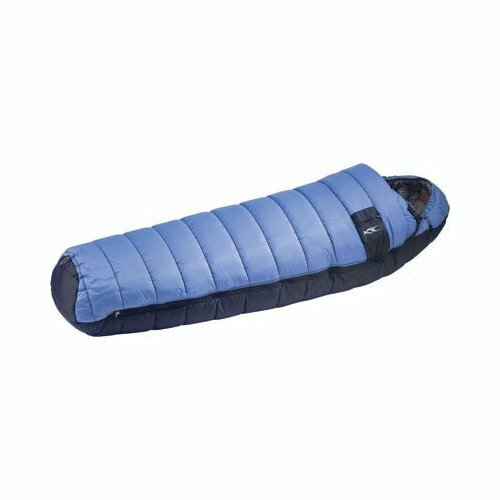 This Abco Tech sleeping bag is a lightweight, extremely portable, water resistant and very durable bag. Use it in extreme weather conditions, and even in warmer weather. The highly durable 100% polyester lining offers high durability, as well as comfort and warmth. Being extremely lightweight, the bag is also very easy to store and transport, the compression bag that’s included shrinks the bag right down and allows you to store it in your pack with ease. The Suisse Sport Everest Sleeping Bag is a mummy shaped bag that is ideal for cold weather conditions. With a 0-degree temperature rating, it is sure to keep you warm even on the coldest of nights. It is quite bulky and won’t fit into a pack, but that bulkiness is due to the fact that this bag has a double layer, offset quilt to keep you incredibly warm and toasty all through the night. The mummy shape also ensures you won’t be frozen by any unwanted drafts while you turn in your sleep. Coleman is one of the leaders in sleeping bag manufacturing, and the Silverton 0 Degree is another high quality, extremely well-made sleeping bag designed to keep you warm in some of the coldest conditions. The mummy shape and special quilting construction eliminate any cold spots as well as keeping your whole body warm, with the hood of the bag protecting your head from the cold. The insulated draft tube also blocks the cold from entering through the zipper. The TNH Outdoors 0 Degree Sleeping Bag is designed to keep you warm in some of the coldest conditions you may encounter out in the country. The composite fill and waterproof shell will keep you warm and dry no matter the weather. The bag is also very compact and easy to transport. 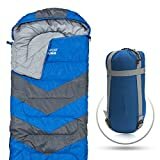 It is 6 foot when unrolled but once rolled in the compression bag and slipped into your pack, it becomes almost unnoticeable, making a usually bulky piece of gear, light and easy to transport. Teton is another leader in the sleeping bag industry, and the Sports Celsius Regular sleeping bag is a reflection of their quality and their use of high quality, durable and strong materials. The bag is large and allows for movement, while still keeping you warm, and the brushed flannel lining feels like bed sheets, and the zipper draft tubes keep the cold out. You can also zip two of these together and make a double sleeping bag for couples, and extra warmth. The Teton Sports Celsius XXL is a much larger version of the Teton Sports Celsius we reviewed above.made with the same high-quality materials and design, this bag is for people who are taller or require more space from their sleeping bag. Once again, the bag has a brushed flannel lining that makes the interior very soft and cosy, makes you feel like you’re in a bed. The bag can also be unzipped on either side and you can attach a second XXL for even more space. TheColeman North Rim Mummy Sleeping Bag is another high-quality bag by industry leaders Coleman. Designed to keep your whole body warm, the mummy design ensures your warm from your feet to your head, all through the night. The bag is designed with a special quilting construction that eliminates any possible cold spots. The bag also has a full-length draft tube that stops any cold from escaping through the zipper, and the box-shaped foot gives you extra foot room. The Browning Camping McKinley Sleeping Bag is definitely one of the best bags on our list. Made with high-quality materials and designed to last for a very long time, this 0-degree bag will serve you well, even in the harshest weather conditions. The insulated chest and zip baffle are designed to store maximum heat with very little lost, as well as preventing any cold spots. It may be a bit heavy and not ideal for hiking, but all the extra insulation and thickness will definitely keep you warm and toasty through the night. 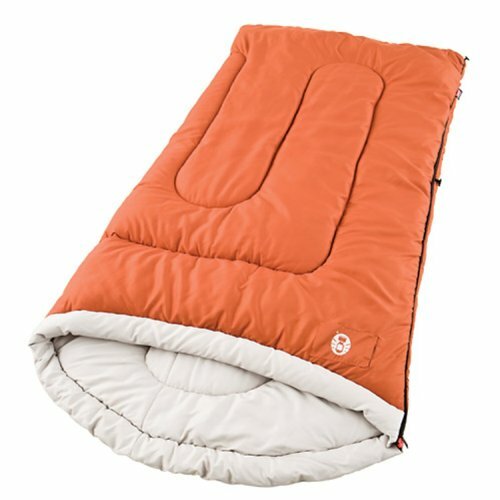 The Hyke & Byke Goose Down Sleeping Bag is unique in the sense that it has an extremely good warmth to weight ratio. Without sacrificing on heat retention and comfort, the bag is still lightweight and easy to carry and transport. The bag repels water quite well and also has a ripstop nylon fabric liner that is warm, comfortable, but strong. The mummy shape also ensures your whole body is kept warm and that no cold air can enter the bag, even if you’re tossing and turning. 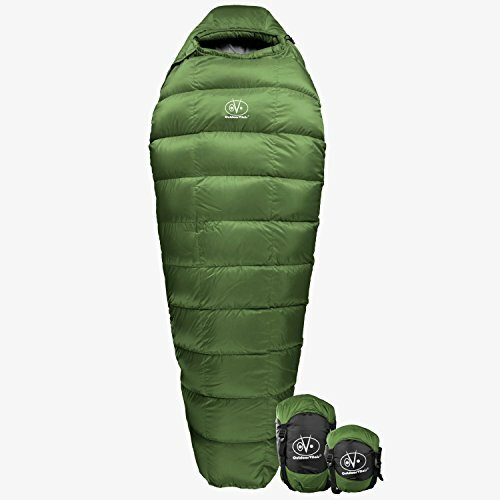 The Teton Sports Mammoth Double Sleeping Bag is a brilliant 0-degree sleeping bag designed for couples. It is an extremely big bag and can give both people more space than they expect. The taffeta shell and flannel liner are designed to last for an extremely long time and are exceptionally durable, the zipper and shoulder draft tubes keep any cold from entering, and unzips on both sides and bottom for easy access and ventilation. The Outdoor Vitals Summit Sleeping Bag is designed to keep you extremely warm, but to also be lightweight, store and carry easily as well as not being a bulky piece of gear. The high-quality lightweight fabrics are strong and durable. The bag is made with a grid baffle design which locks the down into specific places to ensure you are kept extra warm in all the right places. The bag will also compress small enough to easily fit into your pack. The Coleman Sabine Sleeping Bag is a large, well insulated, high-quality sleeping bag from Coleman. The bag is big enough to hold taller people and is wide enough to allow for room and movement without letting the warmth escape. The bag has 5 lbs of ColeTherm insulation, keeping you toasty and warm at lower temperatures. The unique shape of the head side provides extra comfort and support for your pillow, while the ComfortSmart Technology helps keep all the heat in. The Innospo Sleeping Bag is an extra width sleeping bag designed to give you a little bit of extra room while still ensuring you stay warm and protected from the cold. The mummy design keeps your whole body enclosed. The bag is made from extremely high-quality materials. The bag is made from a waterproof polyester shell, 250G soft and very warm hollow fiber filling, the S-type and high-quality sewing adds enormous amounts of durability and can withstand wear and tear for many seasons. 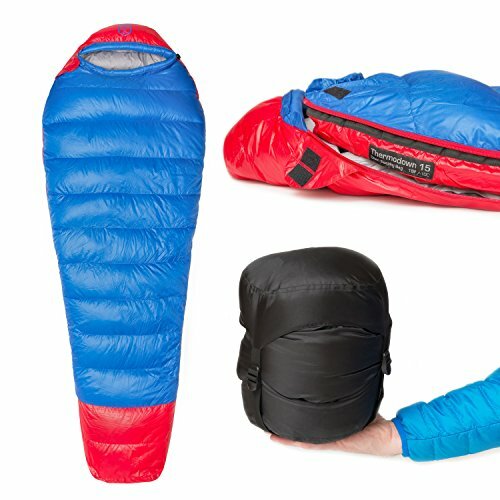 The Paria Outdoors Thermodown 0 Degree Sleeping Bag is an extremely warm, mummy shaped sleeping bag. Without compromising on warmth, the bag stays lightweight and very easy to transport and carry. The bag is made from 20D ripstop nylon fabrics, making the bag very durable and able to withstand season after season of use. The bag also has high-end features while keeping the price very low, making it extremely good value for money. 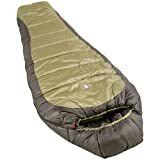 The Teton Sports Altos Ultralight Mummy Sleeping Bag is another high-quality bag made by Teton. The water-resistant bag is able to repel water, keeping the bag dry if you are caught in bad weather before setting up. The bag has a very tough ripstop nylon shell designed to withstand rough sleeping conditions. The brushed nylon liner is incredibly cosy and comfortable and will make you feel like you’re sleeping in your bed at home. The Slumberjack Latitude -20 Degree Synthetic Sleeping Bag is a synthetic sleeping bag designed to keep warm in the coldest of temperatures. With a -20 degree rating, there aren’t many weather condtions this bag can’t handle. The bag is fitted with Slumberloft Insulation, which will guard you against any cold air, and with the shell being water repellant, you can say warm and dry all night long. The bag is also fitted with a draft collar, preventing any cold air from getting in at your neck and shoulders. The Teton Sports Outfitter XXL -35F Sleeping Bag is an extra large sleeping bag made and designed to withstand the harshest weather conditions. It doesn’t matter where you are, or how cold you think it is going to get, the Teton XXL -35F sleping bag will ensure you stay warm all through the night. The bag is made from high-quality materials, has an extremely durable zipper and a water-resistant canvas shell. The cotton lining is extremely soft and cozy. The adjustable zippers and shoulder baffles block drafts and keeps you warm and comfortable all through the night. Blocks any and all drafts. Most would say that Coleman and Teton are the leaders in cold weather sleeping bags. Their high quality and brand history ensure extremely high quality, warm and durable bags. We have included some of their best bags on our list. When it comes to what your sleeping bag should be filled with, down is definitely the way to go. 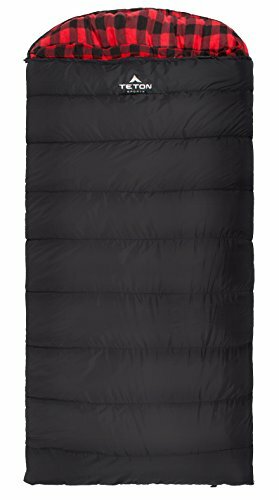 Synthetic sleeping bags have improved over the years, but down filled are still superior. Down filled sleeping bags very efficiently and effectively trap, and hold body heat, keeping you warm all through the night. The number one goal for a cold weather sleeping bag is to trap, and spread heat. This process is hindered if there is a lot of sleeping bag to warm. A mummy shaped bag is tapered and fits the body. In essence, there is less empty space and therefore there is less wasted heat. The mummy shape also covers the head and has a drawstring to ensure no heat escapes. Knowing which bag to choose between cold weather and extreme cold weather almost entirely depends on where you will be using it. Cold weather bags are usually sufficient for temperatures between +10 and -10 degrees Fahrenheit. An extreme cold weather bag is needed for temperatures lower than -10 degrees Fahrenheit. A 0-degree sleeping bag is a necessity if you are going out into the country in winter. The last thing you want is to freeze, and these bags are sure to keep you warm, no matter where you decide to set up camp. Clearly, how much you are able to spend will be a huge deciding factor when it comes to which bag you choose. Make sure you take note of what the bag is made of and its pros and cons. Especially with cold weather bags, saving some money but not being warm is clearly not a good option, rather spend the extra cash. Comfort is most definitely one of the most important factors in buying a bag. Comfort also covers other factors we include here like bag length and width. Warmth, lining, size and personal preference all play a part in comfort. Give the bag a proper feel, no one can tell you what is and isn’t comfortable for you, dont forget that you might need to buy a sleeping pad but we can help send you in the right direction with our guide above. Some bags are made with slight differences that fit her needs. For example, some bags have narrower shoulders and a wider hip section, they also sometimes have more insulation, and some models have foot pockets to prevent the common “cold feet” problem. The differences between female and unisex bags aren’t huge, but if they are differences you like, then bags like these are good options to keep in mind. Your sleeping bag is going to be one of the heaviest pieces of gear in your pack. You want to find a balance between comfort, warmth and weight. You don’t want to compromise on warmth either. Once again, this decision is based on personal preference and what conditions you will be carrying and using the bag under. The best advice when it comes to length is that if the bag is just big enough, rather go up a size. Rather have a bag that is a bit too big than too small. If you aren’t going to be buying a mummy bag, bump the bag you do buy up a size to allow you to pull it over your head in case you get a bit too cold. The width of the bag can be important if you are someone with wider shoulders, or if your shoulders a bit narrower than usual. Mummy bags have standard widths so it’s easier to judge. Width becomes an issue if you end up having to wear a coat or you use an extra blanket, it could be a bit tighter. DWR is Durable Water Repellent, this coating allows water to bead and roll of a bag. This coating will wear off over time and through use, so reapplication is needed. This coating doesn’t make a bag waterproof, but it does help it stay dry if you are caught in the rain and can’t get into your tent quick enough. What Bags have you used and enjoy? With many options and details to consider, we hope this guide has given you some direction in making the right choice for your needs. Happy Camping!. Extremepedia is a participant in the Amazon Services LLC Associates Program, an affiliate advertising program designed to provide a means for sites to earn advertising fees by advertising and linking to Amazon.com. Amazon and the Amazon logo are trademarks of Amazon.com, Inc. or its affiliates.